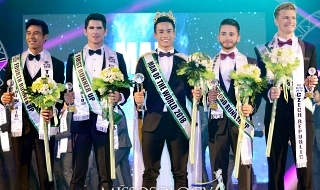 The 5th edition of Miss Grand International which corresponds to the 2017 edition will be held on October 25 in the city of Nha Trang , Vietnam. 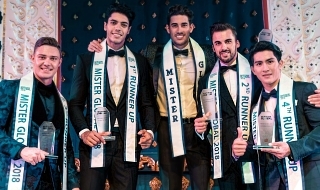 Candidates from around 90 countries and autonomous territories will compete for the title. 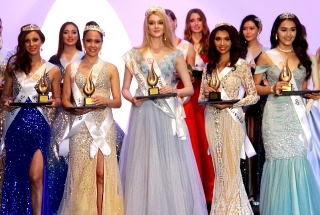 At the end of the event Ariska Putri Pertiwi, Miss Grand International 2016 from Indonesia will crown her successor. Last edited by firerprince on Wed Oct 25, 2017 3:58 pm, edited 6 times in total. WOW! I NEVER KNOW TULIA ALEMAN IS MISS GRAND VENEZUELA 2017! SHE IS MY FAV DURING MISS VENEZUELA 2016! MISS SOUTH SUDAN COULD BE THE FIRST BLACK WINNER! Republic of Ireland to debut in Miss Grand International 2017 ! Ireland will be represented by Ashleigh Coyle, the first ever Irish representative in the pageant. Best of luck, Ashleigh ! Miss Grand Puerto Rico 2017 will be announced this saturday! how many candidates so far? The ugliest winner of 2017 is being shown the door!!! MGI JAPAN 2017 is Erika Tsuji. How many candidates are confirm joining and were announced? Coz ive heard MGI its more than 80 girls. Hoping it will reach to its most girls for years. any update about the arrival of the girls? how many are in Vietnam now? Last edited by DEVIKA on Tue Oct 03, 2017 1:50 pm, edited 1 time in total.